If I could ask for one thing to be different about my hair it would definitely be the thickness of it. Although my hair's not particularly thin, I've always wished for a bit more oomph and volume in it - particularly when curling my hair etc (flat hair is not a good look). 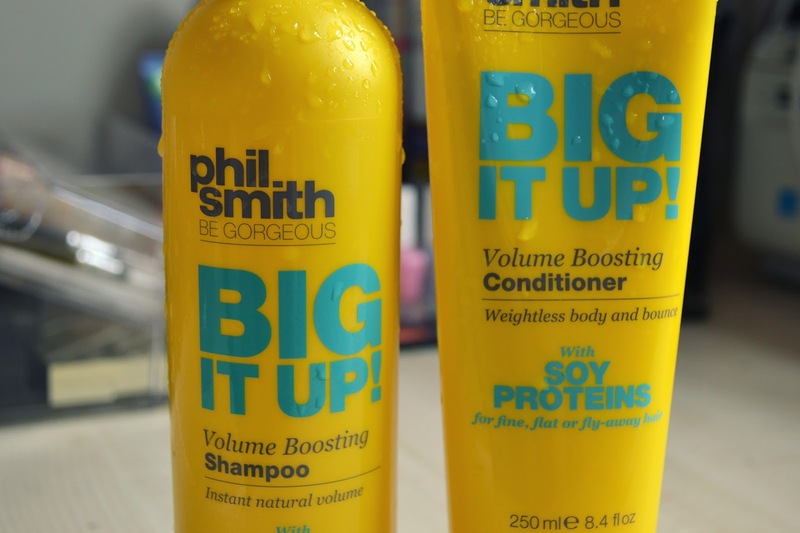 So I was super excited when Paul Smith's Big It Up Shampoo and Conditioner landed on my doorstep. I feel like I've never properly invested in a good shampoo and conditioner that aims specifically to volumise - I usually focus on ones that repair and condition, so this was fairly exciting for me and my shower! 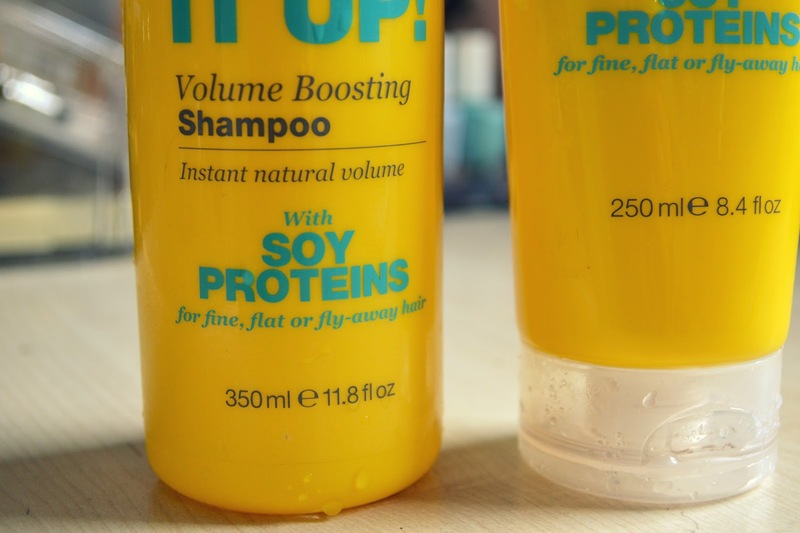 Both the shampoo and conditioner are made with soy proteins that aim specifically at tackling flat, fine or fly-away hair. The shampoo is described as giving 'instant natural volume' and the conditioner 'weightless body and bounce'. Exciting! First thing's first, I love the packaging. I think it has a really professional feel to it, and of course it stands out over anything else in your shower. It's kinda hard to go for anything else when you have the bright words 'Big It Up!' staring you in the face and promising oodles of volume. As far as this colourful little duo are concerned, I absolutely love them and they've been my ultimate go-to for when I want natural, bigger looking hair. I usually wash my hair 3-4 times a week which can often leave it feeling a bit limp and unloved, so when I replaced my usual shampoo with these babies my hair definitely perked up in response. Both the shampoo and conditioner have a professional/salon scent to them which I absolutely love - it definitely adds to the professionalism of the product and leaves your hair smelling divine. The shampoo is a clear gel-like liquid which lathers up easily (you do need a big blob however) and rinses out just as easily too. Although after using the shampoo my hair did sometimes feel a bit tangled and rough, the conditioner (a cream-like substance) quickly sorted this out and left me with soft and smooth locks. My favourite thing about this duo is the lightweight conditioner - conditioners can often be a bit too thick and heavy, leaving your hair feeling weighed down by product, but this one leaves your hair feeling light and bouncy. I love that it doesn't effect the properties of the shampoo but is still able to do it's job of conditioning and softening the hair. After use, the shampoo and conditioner give my hair an extra boost which leaves it looking fuller and thicker with added bounce. For someone who never really experiences much 'bounce' in their hair, this is pretty impressive. I also have to add that it's great at taming frizz and fly-away hair too - my hair always looks healthy and hydrated but big and bouncy without the added frizz after use. The added volume that you often get from typical shampoos and conditioners tends to drop out throughout the day, but Phil Smith's Big It Up duo keep your hair looking lively and fuller all day. After showering with these products the other day, I didn't have time to blow dry or straighten/curl my hair so had to leave with semi-wet hair (my worst nightmare!). My hair dried into a thick and bouncy wave which I absolutely loved and didn't have to do anything to! Overall, I would definitely recommend this Big It Up duo to anyone who's seeking a bit more life and volume in their hair. The shampoo and conditioner retail at £3.50 each at Sainsburys but are currently on offer for just £2 each! I'll definitely be popping down to Sainsburys to re-purchase soon. 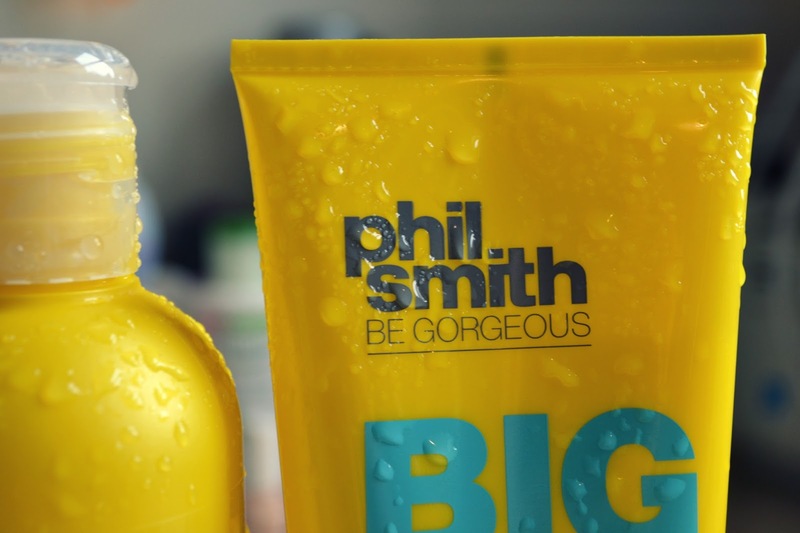 Phil Smith also offers other products in his Big It Up range including Thickening Volume Cream and Volume Boosting Mousse. 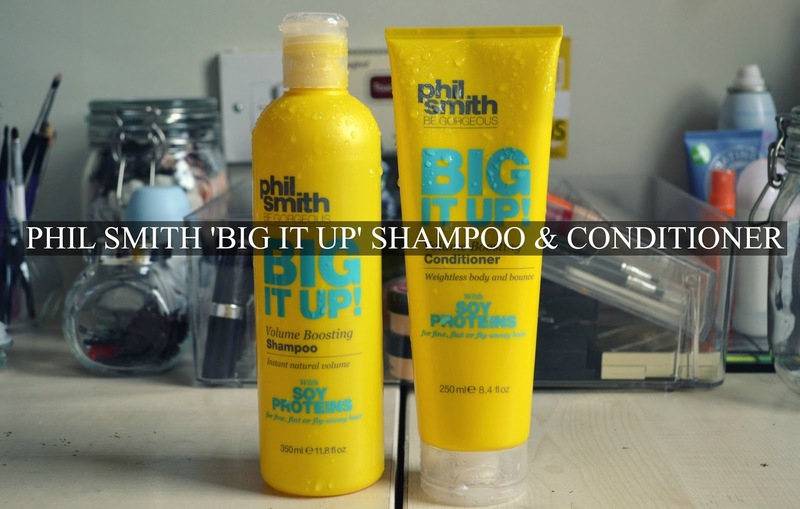 Have you tried any products from Phil Smith's Big It Up range? It looks great, and I love the bright packaging! The packaging is one of my favourite things about it, apart from the lovely professional smell! Ooh these sound lovely. I'm always trying to get more volume (even though, like you, my hair isn't particularly thin). I've never heard of Phil Smith before, but if it works then I'll definitely have a look at it when I'm next in Sainsbury's. I'm going to have to give these a go - my hair has absolutely no life, it is very fine and needs washing daily. I'm prepared to give anything a try.